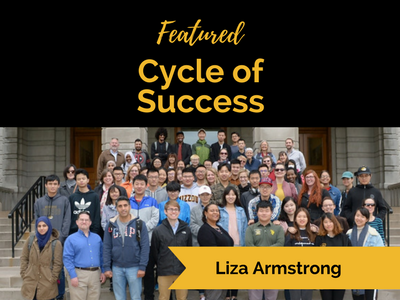 Before becoming an instructor in the University of Missouri’s Intensive English Program (IEP), Liza Armstrong taught a little further from home, such as at Al Akhawayn University, located in the Atlas Mountains of Morocco. Now she helps the Center for English Language Learning fulfill its mission of “providing high quality English language instruction to non-native speakers of English to prepare them for university-level studies, professional endeavors and community engagement.” Liza’s interests are in the development of second language reading and writing skills, information technology, and reading assessment, and she recently presented about text analysis tools in the development of IEP reading exams at the TESOL Convention. 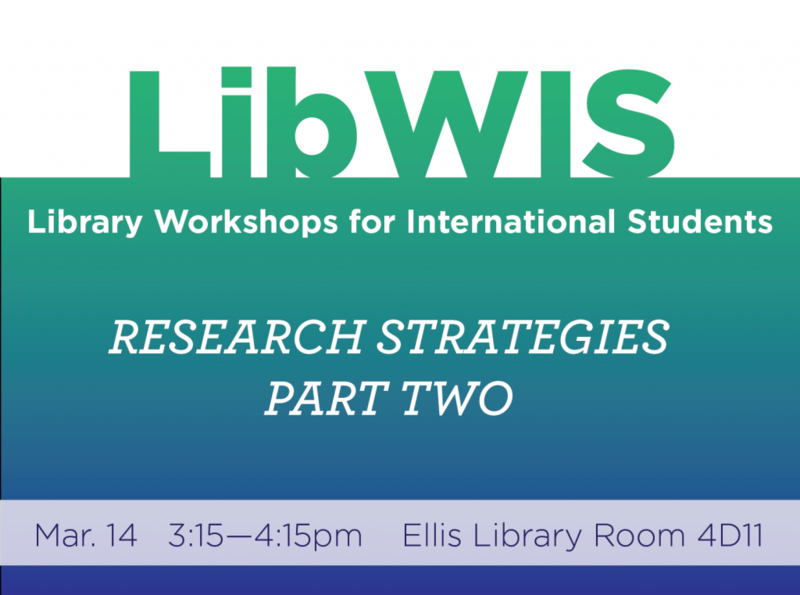 Cindy also shared information about Library Workshops for International Students (LibWIS), giving students further opportunities to learn about advanced research strategies, citation management, and more. 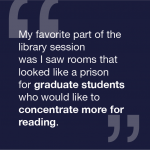 In fact, Liza confesses that she herself learns something new each time her classes visit the library! This open lab is a come-and-go session to help you with any library or research questions you have. 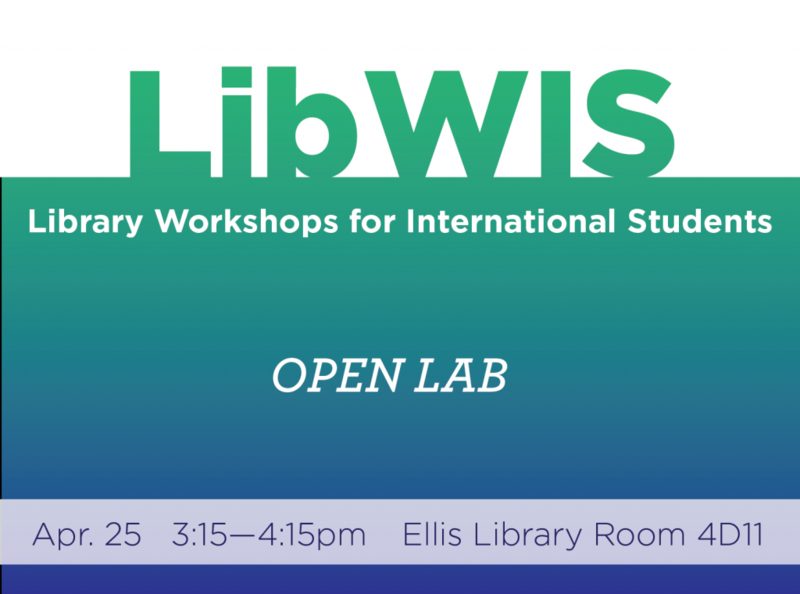 Bring in your assignments and questions, and library staff will be on hand to assist you as needed. Your class syllabus has a statement about “academic dishonesty” and “academic integrity.” What does this mean at MU? 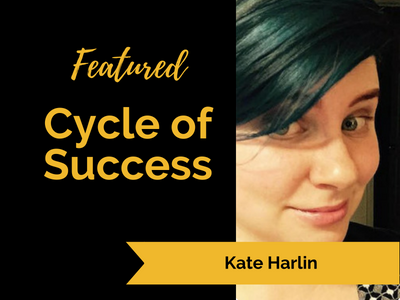 Plagiarism is an important—but sometimes confusing—issue for domestic and international students alike. Many people unknowingly commit plagiarism when writing their papers. 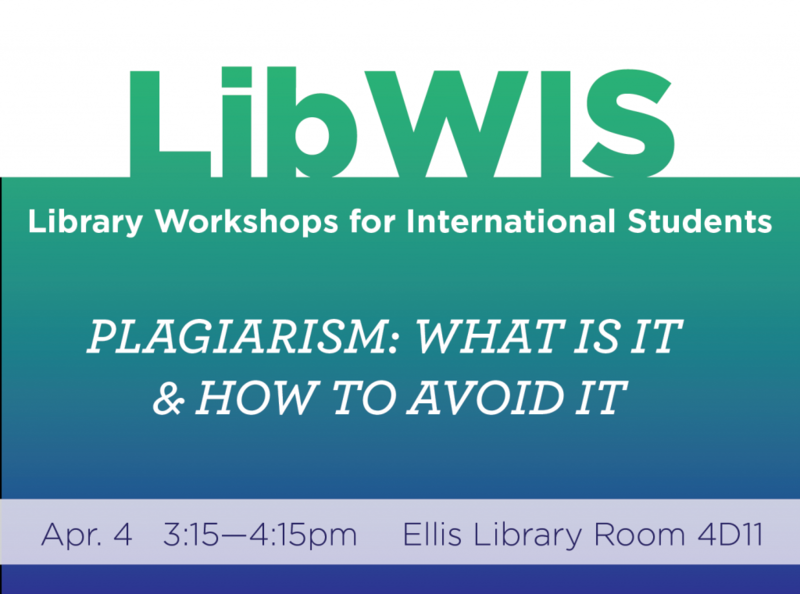 Join us to learn how to identify and avoid plagiarism in your academic writing. 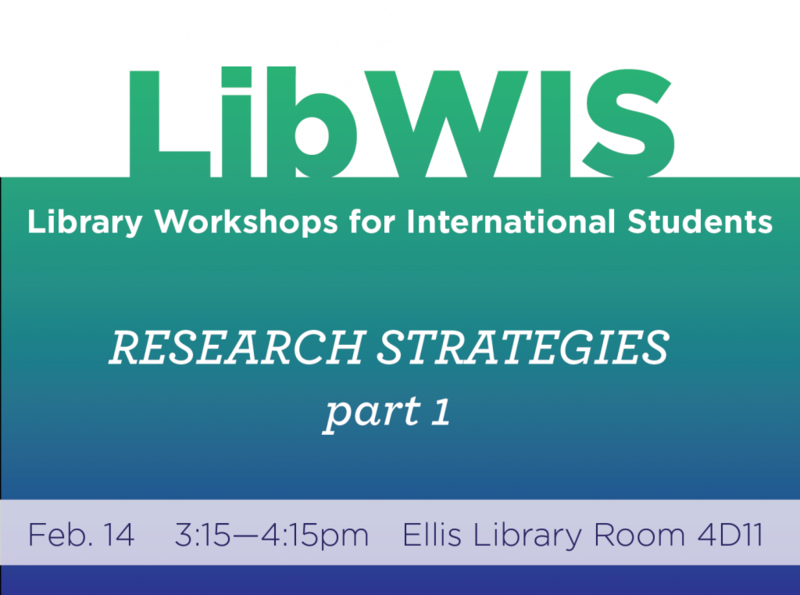 We will look at common errors in citing resources, paraphrasing, and summarizing research as well as how to correct those errors and prevent plagiarism in your academic work. 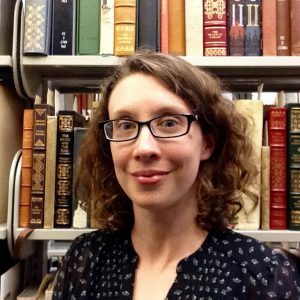 How is the best way to use Google for research purposes? What is Google Scholar, and how does it differ from the various research databases in the Libraries? What are other features in Google that can assist me as a student? We encourage you to bring your own laptop to this session. 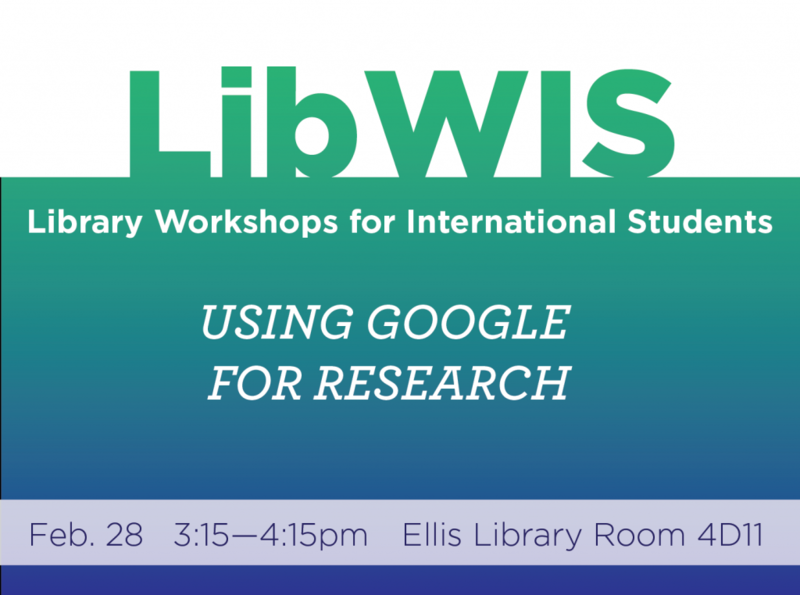 We will show you how to adjust your Google settings to locate Mizzou resources more easily. 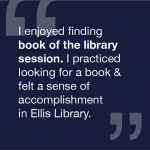 Learn how to find books in our library and how to request books from other libraries. 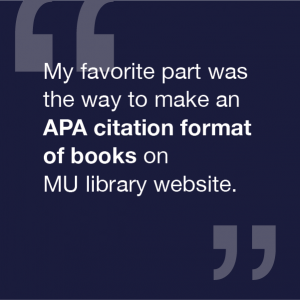 Learn how to do basic research to find peer-reviewed journal articles.